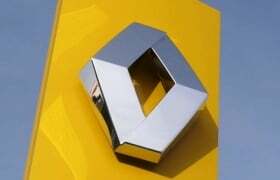 PARIS – Renault SA is expected to announce a board reorganization on Friday that will widen the responsibilities of CEO Carlos Ghosn, French daily La Tribune reported without citing sources. Ghosn, who is also chief executive of Renault's alliance partner Nissan Motor Co., is expected to take on additional duties, such as internal audit and risk management, in a move to show the French carmaker has become his main priority, the newspaper said. Earlier this year Renault fired several executives based on suspicions of industrial espionage that later proved unfounded. At that time, Ghosn came under fire for his handling of the scandal, which some critics said exposed weak risk controls at the carmaker. Renault was not immediately available to comment. In May, Carlos Tavares was named as Renault's chief operating officer replacing Patrick Pelata, who stepped down in April over his role in the botched industrial espionage investigation. In connection with the Tavares appointment, Ghosn agreed under French government pressure to devote more time to Renault, two people with knowledge of the matter told Bloomberg News at the time. France is Renault's biggest shareholder with a 15 percent stake. As Ghosn increases his involvement at Renault, the No. 2 position will be slightly reduced from the operational command Pelata held, Bloomberg reported.